Veterans Service Organization representative Carl Jenkins emails me this New Year’s morning to inform me that I don’t know very much about the process. Mr. Jenkins identifies with the Veterans Of Foreign Wars service organization he represents but neglects to identify which Great State of the Union they hail from. One thing he is certain of though, is that my knowledge of this process is sorely lacking. I heard about you from DAV here at the RO and they say you don’t repect service reps for vets. so I read some of you stuff. You talk big but you know what. You screwed that LZ guy out of a lot of money. You could have filed his claims back when he came to you. My organization will be reporting you for derliction of duty. When vet comes to you asking for a claim, you have a sacrid obligation to help him. I don’t know which VSO you represent but you need some traning. I get over 30 hours every year and am one of the best in my outfit. My superviser goes thru all my stuff each time and says I get it right. If the Butch guy is real hurt then you should be fired you waited 2 years to get him his TDIU. You dont now what your doing so stop badmouthing us guys who do. I have been doing this since 1998 and I have got more than 50 guys service connected all by my self. Our post have got almost 100 just in the last 10 years. Thank you for your input, Carl. You raise many interesting points. I can only agree with you that I do not know what I am doing. I have had absolutely zero formal training in this field. I probably should attend some classes to learn how. Currently, I do not belong to any Service Organization other than Key Peninsula Veterans. They are not affiliated with any one particular VSO and we have no service rep specifically trained in this important field. I am in the process of obtaining my credentials and will be sitting for the agent’s test soon. I obtained letters from three noted VA attorneys who are extremely successful at their trade. They feel I would be a valuable addition to this occupation. If and when I pass the audition, I will send you a copy of my accreditation if you wish to file a complaint. Since I currently do not “help” Vets other than to teach them a Do-It-Yourself technique, I find it odd that you feel compelled to write me. I note you have a “superviser” who oversees you. Does this imply you have not taken the test and obtained your accreditation to do this? I do not mean to denigrate your good work. I’m trying to get a feel for how this works among VSOs. From the OGC’s published information, there are only 800 plus who actually hold this accreditation personally. That seems to be a very low number considering there are 26 million Veterans who are eligible for benefits. You are right in that I have a low regard for the majority of service representatives available to our Veterans. Please understand that I do not condemn all of you as incompetent. I understand there are many who are very helpful, understanding and successful at this. I look forward to meeting them some day. I merely write about the Veterans who come to me and ask what they are doing wrong. If they call ten times and never get through to you, they feel ignored. If you or one of your fellow representatives forget to file a VA Form 9 in the required sixty days following receipt of the SOC, the Veterans lose their claim and have to start over. These are the representatives I write about and refer to. I have had three help me in my twenty six years of doing business with VA. The best I came up with was 0% for hearing and the same for tinnitus. The other 290% I achieved was by doing it myself. none of those three told me about a nexus letter or Independent Medical Opinion requirement. If VSO training is so successful, why is it this ingredient is overlooked day in and day out? The process of helping Veterans is actually quite simple. Unfortunately, from what I hear, once you fellows have the Power of Attorney (POA) and send in the initial claim, you feel that is all you are required to do until the denial arrives. Veterans come to you for help because they do not understand the process. Twenty two years ago, a Filipino Veteran filed a claim for a leg injury and lost. He diligenty appealed all the way up to the Court of Veterans Appeals using the Manila VFW and lost again. His name was Mario Caluza. He taught us all that we must have a letter from a doctor that clearly shows a link between an injury in service and any chronic injury now they feel is connected. That actual requirement has probably been in existence since the War of 1812 but trust me when I say it isn’t a recent requirement. Mr. Caluza’s loss simply taught us the need for this legal requirement. That was 1994. The reason I feel VSOs are incompetent or untrained in the art is very simple. I read a lot of Board of Veterans Appeals decisions published on the VA’s website. A large majority of our fellow Veterans entrust their claims to the mainstream VSOs such as Disabled American Veterans, Paralyzed Veterans of America, the Veterans of Foreign Wars, American Veterans (AmVets) and the Military Order of the Purple Heart to name just a few. As you know, there are 96 currently recognized by Congress including many state organizations such as Texas Veterans Commission or the California Department of Veterans Affairs. One thing I read over and over is that the majority of you and your fellow service officers somehow neglect to tell your clients of the need for the all-important letter from the doctor. An ingredient this essential to the claim’s success seems to be a given. Nevertheless, you and your organizations lead your Veterans to the VA slaughterhouse without a thought or that letter. 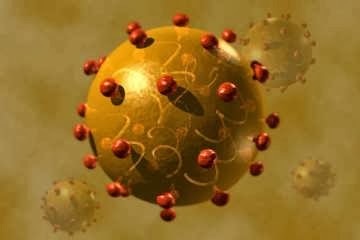 Some have gone so far as to file claims blaming Hepatitis C on Agent Orange exposure. I would point out that this falls into the category of a frivolous claim and consumes valuable judicial resources. VSOs are forbidden to do this but they do so. Furthermore, if the Veterans who write to me are not lying, it seems you and your fellow VSOs need to improve your communication skills. If my friend Butch calls me and I’m not here, I make sure I call him or his wife back as soon as I get the message. In any event, I reach them the same day. Many of your fellow representatives seem to be unable to do even that within a week or two without several phone calls from desperate Veterans. From where I stand, it appears I am just fielding a small number of the unanswered calls for advice from those who are unable to reach their representatives in a timely manner. While we’re on the subject of Butch, allow me to say a few things. AmVets began representing him in 1970 the day he walked off Fort Lewis. They filed his claim and that’s the last he saw of them-period. He attended his C&P exams and was rated at 10% for a scar. We now know they missed two of his claims entirely and ignored the horrific SFW damage from the 60 mm mortar. Where was his AmVets rep. after this happened? Why was he not counseled to appeal this? He apparently lost out on his TDIU in 1970 long before I showed up and began handing out bad advice. In addition, a number of VSOs promised to get Butch his Purple Heart over the years and had him sign POAs with them. None produced as they promised nor did any mention his entitlement to a Combat Infantryman’s Badge (CIB). I know the failure to help him does not fall on your shoulders directly. My sentiments simply reflect what I have observed for the last 26 years of interaction between Veterans with VSOs as their representatives and the VA. You may personally be a paragon of virtue and a credit to the profession. I have no way of knowing. Many service representatives do not know what their very own charters state. By accepting a commission from Congress, a Veterans Service Organization swears fealty to the Veterans Administration and promises to help them (VA) adjudicate claims. Nowhere does it state their allegiance is to the Veteran. He is merely “the customer”. If a conflict of interest arises between the Veteran and the Department of Veterans Affairs, the service representative must do everything in his or her power to resolve the problem in the VA’s favor-not the Veteran’s. You state you have been doing this since 1998 and proudly proclaim you have helped 50 or more Veterans obtain service connection. That is 18 years and a lot of Veterans. Might I ask how many Veterans you were unsuccessful in helping? Many times statistics can be misleading. Obviously, if you represented 2,000 Veterans in that time it would be a fairly dismal record. I am not licensed to do this but my advice in eight years apparently has helped quite a few. I do not keep track of my successes because they are not mine. I report them here on my blog to show others how to succeed. Butch is a classic example of what can go wrong if a Veteran blindly allows a VSO to represent him or her. I could present 500,000 more examples by sending you to the VA’s BVA site. I’m sure you will find your own VSO prominently listed there in the 80% loss column. The majority of those losses have ignored the requirement that was revealed in Mr. Caluza’s 1994 decision. Helping a Veteran is a sacred trust. In that we agree. Where we differ is what the sacred trust entails, where it begins and most assuredly where it ends. Some day, I will be at Butch’s funeral. Or… he will be at mine. That, sir, is a sacred trust. Happy New Year, sir. This entry was posted in Introduction-Read these first, KP Veterans, Nexus Information, VSOs and tagged ASKNOD BOOK, asknod.org, asknod@wordpress.com, Disabled Veteran, DIY vA Claims, Gulf War Claims Help, Gulf War Vets Help, HCV, HCVETS, Help with vA Claims, Helping Veterans, Korean War Vets Help, Service Connection, VA claims, VA HCV Claims Help, Veterans Benefits, Veterans claims help, Vietnam Veterans Claims Help., VSO. Bookmark the permalink. There is no transparency about VSO operations–especially the financial relationships. There is some data on individual non-profit rating sites like Charity Navigator. If there are any forensic accountants out there, perhaps they could decipher the tax returns and shed some light on how these organizations pay for their employees. Are these 100% funded by donations? Though I received TDIU in 1999 I appealed for retro to 1986. Won’t bore you. I have represented my self. I have a masters degree in Admin Law and in the last 30 years perhaps have more depth in VA law than most VSO’s I ever met and many lawyers. My claim is 30 years old this year. I believe every veteran has to have knowledge on his own about VA rules and Reg’s if for nothing else to know that the VSO knows their stuff. My experience with DAV VSO’s both chapter and national is its hit or miss. I have no positive views about hem and it seems they either think they know too much inside baseball with the local VARO which they don’t or they just roll over for the VA and under represent the veteran for a good number of claims resolved. Sort of like the RO. I would never get certified by the VA for anything. I hate them and they hate me. I do win though and that so piss’s them off. well said Asknod to Carl L. Jenkins. I must say the first thing that impressed me with your comments to this site owner was your lack of reading your own words. I won’t quote the number of misspellings or lack of proper grammar, but will imply that if your statistics you represented in all the years you have been filling your position seem an awesome number to you!!! Then you must have never achieved anything passed a high school or vocational education and your goal setting measures are limited to say the least. My VSO here in the Philippines is with the (VFW). I had one meeting in person with him, after he missed my BVA hearing, and guess what? In the one year I have dealt with him and his/my organization, I have NOT received so much as an email or a phone call back from him. Not to throw him or you under the veritable bus mind you, but had I not found this site, and asked for the assistance from Mr. AskNod, then I would still be sitting in limbo for many years to come along with so many other veterans out there. My VSO (Mr. Jonathan Porties VFW for Manila, Philippines) has/had no experience with Special Monthly Compensation or (SMC), and told me he could not assist me. An educated VSO would have said, sorry sir, I am unable to assist you because I do not have that type of training, but let me find someone who can assist you. He never did, and so I took it upon myself to do all the work, research and guess what? It was a road well traveled. Over the past 8 years I fired my attorney, I fired two VSO’s, and decided to do my claims myself because I knew I could. Even with two Phd’s under my belt I still had my moments being confused, not finding anyone who actually knew VA law’s and regulation’s better than my own understanding, and could NOT find assistance with the higher-level of SMC questions I had, except for this site. Even the VA’s DRO’s and service rep’s here in Manila did/do NOT have the knowledge, training and or understanding to assist me with my questions and claims. I was able to receive from this site and the person that actually cared about my particular claim(s) adjudications to go out of his way and answer every single question with an in-depth response, and also replied to every single email I sent him. For you as a VSO its your paid job. For this site owner its his passion to assist and help other veterans because you as a VSO fail so many because at the end of each month you get paid whether or not you win for the veteran or not. This my friend is the difference between you and Mr. AskNod. Well, that and education levels. Mr. AskNod did not say it, but I will. There are a lot of veterans who work in the Veterans Administration who have only a high school education, passed a few exams to get to the position they now hold within the VA, and they have a program(s) that do the work for them… Its not like you are actually paid to have to think on your own. Again, I am not trying to embarrass you sir, but the unimpressive numbers you presented us with are to say the least, a tragedy to your position. I have helped 32 veterans in the past three years, and guess what? All of them won their claims. Their claims were of course quite different than mine were/are, but eight years ago when I had an attorney and two VSO’s tell me I would NOT win any of my claims I could have thrown the towel in and given up. I chose to fight the system and won every single claim I submitted and went from 0% to over 670% because I was right, and I had nothing to lose except that which I felt was owed to me by my government for my services rendered and the disabilities incurred while in wars, combat zones, and during the course of my active duty years. Take my kind advise Mr. Jenkin’s and learn all you can from this site and the associated forums as it might just assist you in actually achieving a better success record, and maybe, just maybe, peace of mind. Again, this site and its owner sure helped me win my MOST difficult claims when people like yourself failed me. I also have low regard for certified VSOs. Two refused to help my husband and I. I did our claims and appeals myself. Different decades. We are both now 100% TDIU. I’m gonna go out on a limb here and state the author of the post above is not actually a Veteran Service Officer (VSO) as he states, but probably a Post Service Officer (POST SERVICE OFFICER) or Chapter Service Officer (CHO). The difference being VSO’s, take the test, receive accreditation if they pass the test, and are listed on the comprehensive list maintained by the VA. After checking the list, and checking it twice, there is only a Carl C. Jenkins affiliated with the Ala Dept of Veterans Affairs (a State service officer) and the American Legion. But I gotta admit VSO sounds so, what’s the word – weighty. PSO’s/CSO’s do in fact receive some sort of training by their Veteran organizations, but it is not comprehensive enough for them to become accredited by the VA. Don’t want any rogues who might upset the apple cart out there. I’m wondering if the ‘supervisor’ Carl claims checks his submissions is accredited or just another link in the weak chain of good intentions. Apparently from the stats listed above there’s a lot of additional training that needs to be had by all in that particular chain of command. Unfortunately I was the victim of good intentions by a DAV PSO which cost me 2 years disability compensation. Attorney Keith Snyder righted the PSO wrongs and ended up @ 160%…. just a couiple days late and couple dollars short if the PSO/CSO had known what they were doing. May I suggest Carl that if you really feel a real need to help Severely Disabled Veterans you encourage your supervisor and those up the chain of the VFW to lobby Congress to end the blatant discrimination of the Care Givers Act of 2010 provision which denies this benefit to Pre 9/11 Vets (That’s about 65% of severely disabled Vets who need it). Fact is the VFW has been virtually silent about this discrimination that when signed into law violated 2 existing public laws (The Civil Rights Act of 1964, The Americans With Disabilities Act Of 1990, and the 2010 Amendment thereof). And for allowing me to put another 2 cents to this equation. 5 years to get DM2 ac and that was without VSO assist, but with our congressman’s office we prevailed. The VSO failed to submit supporting documents before the BVA hearing we had submitted to them at least 3 months prior. With us, we brought an extra copy, the judge smacked the VSO across the knuckles for that mishap and we sent via FAX a copy to the judge. 8 years post initial filing with VSO, my hubby received a 100% rating for HepC without the assist if VSO – and if Ask NOD had not suggested we get the creme d’le creme NEXUS letter (VSO never mentioned it) – no doubt he would have received a denial. From day one of filing through the appeal, we saw a VSO rep a total of 3 times. Helpful to some perhaps, and we know personally of only one Veteran who did have success right out the gate with VSO Representation, but not us. I’ll do you one better. Our VSO NEVER EVEN FILED the claim. I don’t know what happened–maybe it slipped behind his desk, under a stack of other papers, or maybe it accidentally fell into his shredder–but when I called to follow up on the claim many moons after it was filed, the regional office had never gotten it. It just pisses me off that “VSO’s” like this, that apparently do nothing (their reputation in town is very bad) continue to collect a state paycheck. “Our post have got almost 100 just in the last 10 years.” Wow, sign me up quick. I started with the DAV once they received my POA that was the end of any communication Obviously the VFW would have been a better choice. Just think that equals out to 10 wins per year. Are we sure that this e-mail isn’t some put on? Anyway, enjoyed your reply. I just figured it was a small town with a lot of peace time Vets. It doesn’t pencil out to very many and the fellow failed to give me a geographical location. I’ll google the IP address to see what it turns up. Good point. Thanks. Somewhere during the course of Mr. Jenkins’ grammar and high school education, a string of English teachers sorely failed him. I hope someone in his office is proofing his communications with clients. Obviously, this email escaped scrutiny. While I will not speak for Ask Nod’s record of helping Vets, I have yet to find a single Veteran who has not benefited by Ask Nod’s help, and I have known him since shortly after he started this forum. I also have more than 10 years experience with VA claims and hadit is always appreciative when Alex weighs in with an answer to a Veteran’s question that could not /would not get answered by his VSO. Many VSO’s were “just too busy” to return a Veteran’s phone calls. Wasnt it the VFW who opposed attorney’s representation for claimants? That is too bad for about 87% of Veteran claimants who had attorney representation and won “at least” a remand at the BVA. Claimants represented by the VFW did not fare nearly as well. 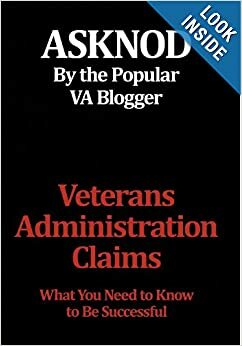 I happen to know that Ask nod has a copy of the Veterans Benefit Manual to assist his Veterans. Do you have one in your office? Did you even know that the VBM is THE AUTHORITY when it comes to VA Law? 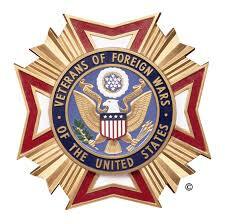 Given the VFW record, its no suprise to me that a VBM is nowhere to be found in VFW offices. VSO’s think they dont need the VBM, after all you were trained, by another VSO, right?